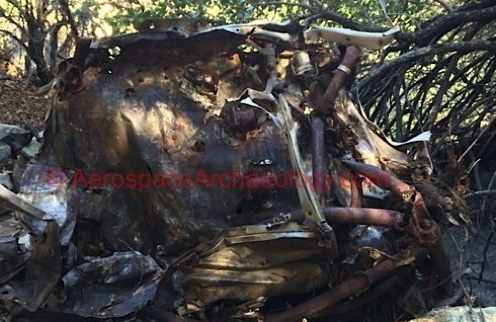 Debris from a Harvard flown by William James Watters lies hidden in the Rincon Mountains, 20 miles east of Tucson. Watters was a cadet at Falcon Field, British Flying Training Squadron 4 (BFTS 4), Course 11, in Mesa, AZ. On 24 December 1942, he set out for a typical training flight, most likely flying Falcon-Willcox-Tucson-Chandler-Falcon. While heading west toward Tucson, he failed to clear the Rincon Mountains and crashed. Watters was fatally injured and buried in the Mesa City Cemetery. The cause of the crash was undetermined. Both the AAF and Royal Air Force were unable to locate a wreck report. Classmates of Watters said his engine was losing power just as he approached the mountains. Due to the sudden loss of power, he was not able to climb over the ridge in front of him, or clear the higher peaks to the north and south. 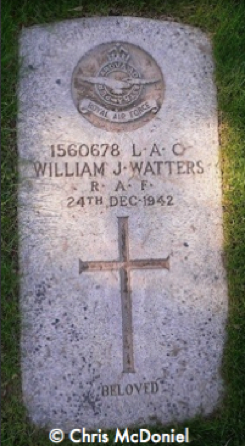 Watters joined the RAF underage and was sent to Glasgow University. At Glasgow, he read first year engineering and completed RAF aircrew basic training from October 1941 to March 1942. "Grading School" and Tiger Moths were next. Watters was selected as a pilot and sent to Canada in July. The stay in Canada was short. By August, Watters was placed on a train heading to Falcon Field for further training. Thank you to Course 11 members who assisted me with information. Special thanks to Mr. Graham White for sending me a photocopy of his RAF log-book. The picture includes Watters, other members of Course 11 at Falcon Field, and Mr. Mayhew, their civilian instructor. 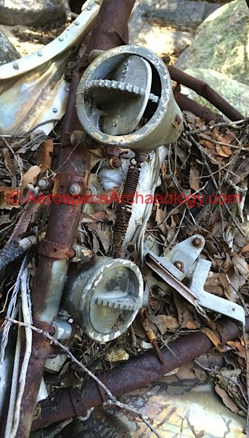 Tube frame and rollbar are about the biggest remains of the AT-6 in the Rincon Mountains. 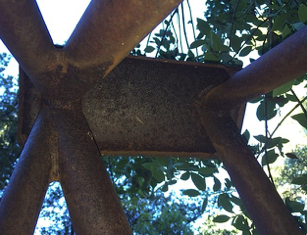 Firewall remains under a canopy of trees. 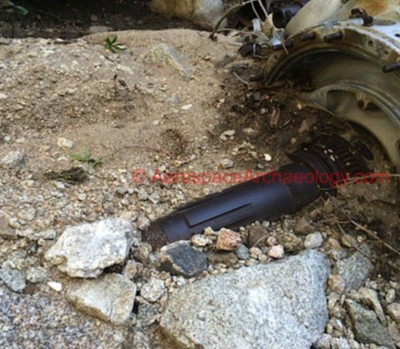 Propeller shaft partially buried in the dirt. I have not been able to confirm the serial number of the AT-6 Watters was flying. 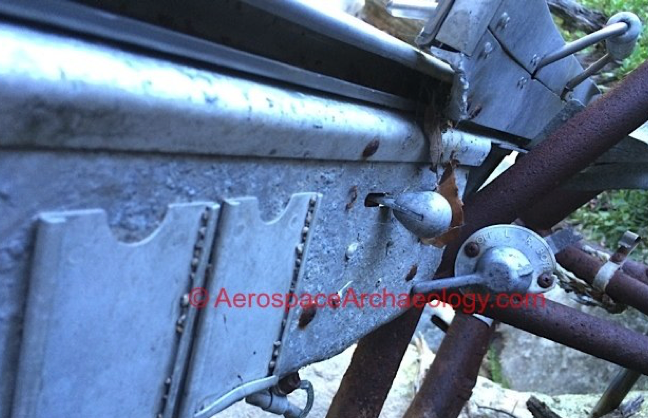 I heard one theory that the aircraft's s/n might be on the underside of the rollbar. Unfortunately, that was not true. "Hot air" and "cold air" attched to firewall. View from inside the remains of the AT-6. Log book courtest of Mr. Graham White. William James Watters' grave at Mesa Cemetary. Short podcast I did on the crash. I also posted it on YouTube.